The Alpha Sigma Tau National Foundation is proud to offer cumulative giving levels to recognize the lifetime giving of $5,000+ by individuals, chapters, or associations contributing to any of the Foundation’s initiatives including but not limited to the Anchor Fund, Leadership Fund, Alpha Sigma Tau Future Fund, and Scholarship Funds. The names of these societies honor outstanding women in Alpha Sigma Tau’s history and are indicative of the extraordinary commitments those recognized through these societies have made to the Foundation. Rose Marie Schmidt, Ed.D., Theta, began her faithful service on the Alpha Sigma Tau Foundation Board as Second Vice President in 1991, before serving as Treasurer from 1997 to 2010. During her 19 years of service on the Board, the Foundation grew exponentially. Rose Marie’s financial wisdom guided the Foundation through its most formative years. Rose Marie was initiated into Alpha Sigma Tau at Wayne State University, home of the Theta Chapter, on February 29, 1944. She has remained involved in Sorority her entire life whether it was her participation in the Detroit Alumnae Panhellenic or involvement in the Detroit Metro Alumnae Chapter, where she served as President from 1980-1992, and remains an active member to this day. Professionally, Rose Marie is one of the most decorated school administrators in the Detroit Public School System history. Rose Marie began her extensive and prominent education career with the Detroit Public School System as a teacher. After several years, she moved to administration and served as a recruiter, traveling to bring new teachers to Detroit. Rose Marie finished her distinguished career as the Director of Personnel. Rose Marie’s generosity has enabled the Foundation to advance its mission since its inception. Rose Marie funded the Rose Marie Schmidt Scholarship in 1989, when she served as Chairman of the Scholarship Committee, and was a cornerstone donor in the 1990’s effort to purchase the Birmingham, AL, National Headquarters Facility. Through sharing her time, talent, and treasure, Rose Marie Schmidt, Ed.D., has been a leading role model to impress upon donors the importance of education and educational pursuits of Alpha Sigma Tau Sisters. 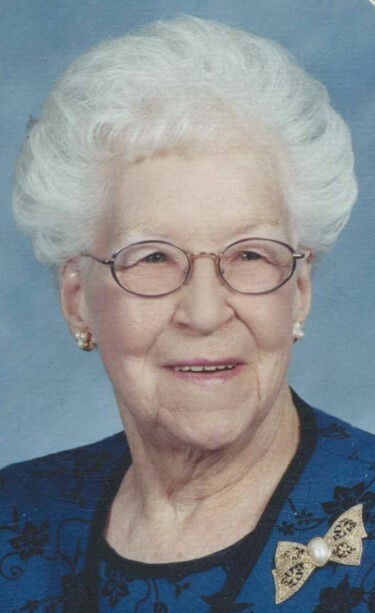 Ms. Charlotte Evans Floyd, was initiated into the Psi Chapter at James Madison University in 1947, and has been a faithful member of the Northern Virginia Alumnae Chapter for 67 of its 68 years of existence. Charlotte’s story begins as a young girl from very modest means who was sent to college with just a few articles of clothing that comprised almost all of her life’s belongings. Charlotte’s gracious demeanor quickly allowed her to make vital connections on campus and ultimately find her way to membership in Alpha Sigma Tau. Charlotte rarely accepts the credit for the contributions she has made to Alpha Sigma Tau over her 69 years of membership. She will blush and suggest she does not deserve any recognition, because she will tell you that she prefers to be a, “behind the scenes girl.” Charlotte has served the National Organization as National Secretary, Chair of the Centennial Celebration, and most recently served the Alpha Sigma Tau Foundation as Secretary, a position she held for over twenty years. Charlotte’s accomplishments in the organization have been noteworthy, impactful, and never ending. Her lifelong commitment to Alpha Sigma Tau is a model for all of us. If each member of the organization contributed just a portion of what Charlotte has contributed, in their time, talent, or treasure, the outcomes for the organization would be immeasurable. Because Charlotte prefers that “behind the scenes” role, she would never tell you of the efforts she has made on behalf of the Sorority. But, she will be happy to share a number of stories with you should you be passing through her neighborhood. Charlotte’s home is always open to any member of the sorority and if she knows of a sister visiting the Washington DC area for work or pleasure she always extends an invitation to stay at her home. “It is probably because of Jerry that Lenore has remained as active – for he has always supported and encouraged her to be involved.” This quote about Lenore Seibel “Sybil” King reveals a clue to the complete support of the King family for Alpha Sigma Tau. Sybil began her journey as an Alpha Sigma Tau as a member of the Psi Chapter at James Madison University in 1947. She served as New Member and Recruitment Chairman, and in her senior year, President. 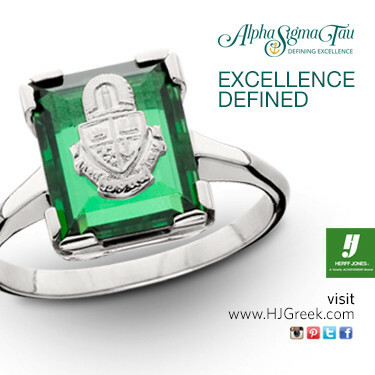 Her commitment to Alpha Sigma Tau led her on a lifetime journey to uphold the purpose and ideals of the Sorority. Upon graduation in 1950 she immediately began service as a volunteer which continued until her death in 2006. 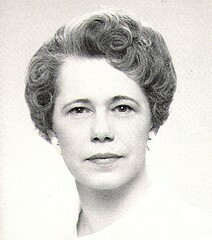 Sybil served as the Sorority’s 7th National President from 1972 through 1984, visiting every chapter during her presidency. Sybil was honored with the title of President Emerita during the Sorority’s Centennial celebration. Before accepting the nomination for the office of National President, Lenore and Jerry discussed the effects such a position would have on their family and only with the agreement from all members did Sybil accept the challenge. Each one – Jerry, Tommy, Susie, Kathy, Beta Zeta (University of Alabama-Birmingham), Jan, and Clare, Beta Zeta (University of Alabama-Birmingham) – contributed in some way to make Sybil’s term a complete success. Following her service as National President, Sybil served as Headquarters Administrator, and established the Sorority’s headquarters operation in Birmingham, Alabama. Eventually, her path led her to establish and serve the Alpha Sigma Tau Foundation, first as Vice President from September 1983 through September 1998, then President from September 1998 through September 2005. Sybil’s husband Jerry was always a strong supporter of Alpha Sigma Tau. Whether on a ladder to replace a light bulb at the Birmingham office, supporting Sybil through her service, or contributing to the Foundation’s scholarship in his name, Mr. King made countless sacrifices for the benefit of the Sorority until his passing in 2006. Lois Anne Dryer Cooke was born in Buffalo, New York, and attended Buffalo State Teachers College where she joined Alpha Sigma Tau in 1932. 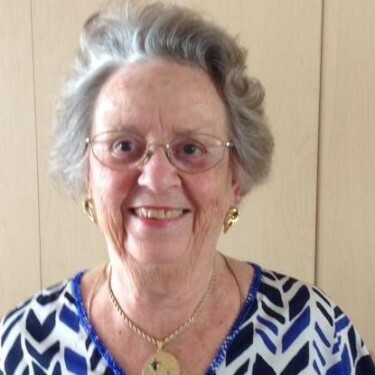 Following graduation, she began work as an administrative secretary and worked at the same firm for the business’s vice president until she retired in 1974. Lois was an exemplary leader in her professional and personal life and was often recognized for her contributions. She was a charter member of the Buffalo chapter of the International Association of Administrative Professionals (IIAP). She served as president and chairwoman of the annual Buffalo Fashion Show when in 1952, she was named the organization’s National Secretary of the Year. The same year, she received the Ideal Career Girl Award during the Exposition of Women’s Arts and Industries. In 1985, she was named Outstanding Member of the Year of the Buffalo Chapter of IIAP. And in 2003, Mrs. Cooke was the first member to receive the Lifetime Achievement Award from the Buffalo Chapter IIAP. 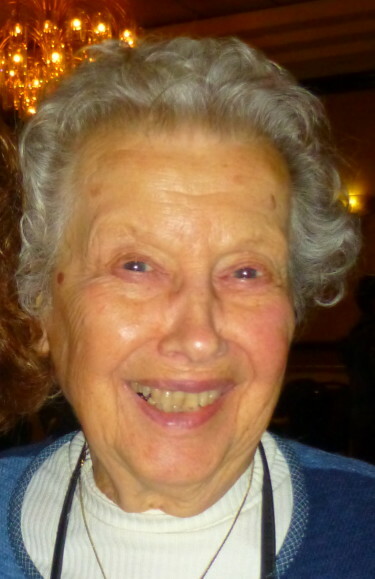 Lois was a life member and board member of the former Auxiliary to the Pharmacists Society of the State of New York. She also served as president and board member of the Auxiliary to the Pharmacists Association of Western New York. She also was a member of Betsy Ross Levant Chapter 695, Order of the Eastern Star, Business and Professional Women Retirees, and Friends of the Amherst Symphony Orchestra. She was an honorary life member of the American Association of University Women. In addition, she was a supporter of the Pharmacy Museum at the University at Buffalo and helped provide scholarships for Alpha Sigma Taus through the establishment of the Lois Anne Cooke Scholarship fund. Lois exemplified leadership in her professional life and community. The tributes made on her behalf by members of the Buffalo Alumnae Chapter, family, and friends have made a lasting impact to scholarship recipients. The awards are based on academic performance and service to chapter and community, a befitting memory of Ms. Cooke’s contributions to Alpha Sigma Tau and beyond. The Elliott Sisters were a fixture at Alpha Sigma Tau National Conventions. Edith Minerva Elliott (1937) and Meda Ray Elliott Sewell (1940) began their Alpha Sigma Tau journey at Concord College when they were initiated into the Omicron Chapter. 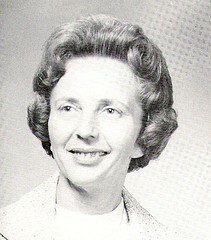 Later, Betty Gail Elliott (1972), was invited into the Sisterhood as one of the very first alumna initiates. From the time of their respective initiations until their deaths each sister made significant contributions to the Alpha Sigma Tau Sorority and Foundation. Meda Ray served as President, Treasurer, and member of the National Foundation Board of Directors. Under Meda Ray’s leadership as President the Foundation expanded its infrastructure, recruited volunteers, and developed a greater presence in the lives of members. Meda Ray and Edith each funded scholarships in their name in the early days of the Foundation. But most notably, the Elliott Sisters may be credited with conducting the first efforts of Foundation fundraising at National Conventions. The sisters, always sitting side-by-side, didn’t allow their hands to be idle during the long days of business conducted at the Convention. Each sat quietly, but diligently working, hand making little yellow roses to be attached to attendee’s name badges. The Elliott Sisters were generous but asked for a modest contribution to purchase a rose, one for yourself and more to share, with all proceeds going to benefit the National Foundation. Today the Foundation offers yellow rose stickers to be purchased as honor gifts at the Convention but the idea really began decades ago as a result of the passion and dedication of the Elliott Sisters.